Listen to me, you who pursue righteousness, you who seek the Lord: look to the rock from which you were hewn, and to the quarry from which you were dug. Am I proud of my humility? Are you? Remember, let him who thinks he stands take heed, lest he fall. 1Cor.10:12. There are two important considerations that keep us from relapsing into prideful inclinations. The first is acknowledging the state from which I have been brought – by grace. The second is bearing in mind the fast approaching day of judgment.. a day to which we are hastening. Last autumn I used a very strong weed-killer on the surrounding paving stones in my home. I jet-washed the entire area, and poured in blessed sand and cement to complete the task! It was weed-free for a few glorious months.. and I smugly rejoiced with exceeding great joy! Yet now a few short months later weeds of all sorts and shape abound on my driveway – in greater profusion than ever before! In the same way…am I proud of my humility? Am I proud that the weeds of self-importance were weeded out in some bygone days. Do I rejoice that weeds of presumption have been flushed away from my character? Therefore let him who thinks he stands take heed lest he fall again. We are apt to forget that unholy weeds of self-worth, ego, pride or arrogance.. too readily spring back up to choke lovely flowers – like hearts-ease and other precious things. What a catalog of ‘weeds’ have we been delivered from. 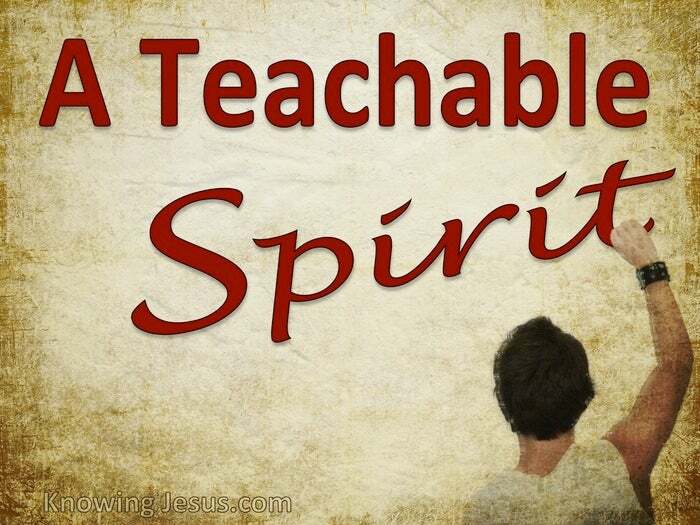 What a list of Scriptures remind us of who we were – and where we are going. We have been delivered from the pit of corruption – the miry clay.. rescued from the hand of our enemy – delivered from the sword of the Egyptians. We have been freed from the ambush along the road and those who hate us. We have been saved from the violent man and all fears and failings. We have been liberated from death. We have been released from the depths of Sheol. We’ve been set free from the sins of corruption – the guilt of our original iniquity. Redeemed from trespasses and sins. Released from the kingdom of darkness.. but there is no ground for pride or self – for it is all of grace. It is all from Him. It is all by grace. And today is still our day of salvation. Today is still the day of our sanctification. Today is still the day for forgiveness and the day for love. Today is still the day for grace and the day for mercy. Today is still the time to root out unholy weeds.. weeds that daily spring back up in our daily lives. 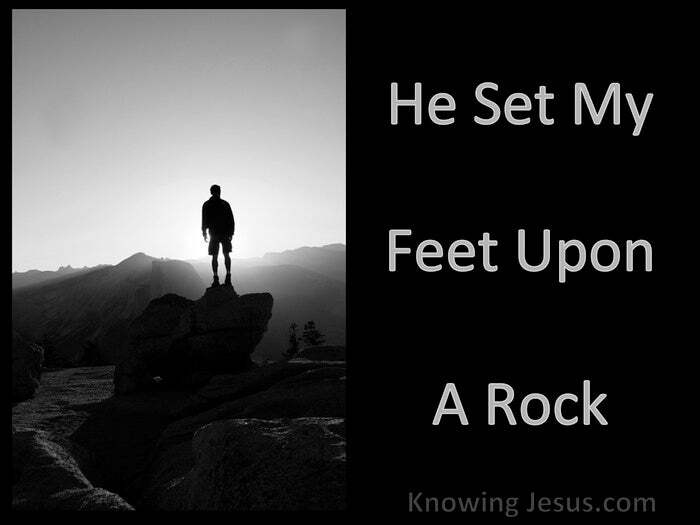 He brought each of us up out of the miry clay and set our feet upon the Rock. He has put a new song in our mouths and praises on each of our lips. He lifted us up and caused us to be seated in new positions.. a position in Christ, seated in heavenly places. Not unto us, O Lord, not unto us.. but to Your name give glory, because of Your mercy. This was our unenviable condition, but we were redeemed. Today we are washed.. and need continual washing. Today we are anointed, yes we need continual anointing. Today we should be dressing ourselves in the robes of righteousness. Today we should be making preparations for our coming bridegroom. Humility being the inner garment with which we each first needs to be covered. Moses was a very humble man we read.. but he first needed to be brought to the end of himself. Moses tried by self-effort; Moses tried by personal influence; Moses even tried by violent means to bring about the deliverance for his people. Moses tried every way he could to serve God.. but Moses only succeeded in serving his ego, for forty whole years! But after forty years of trying God confined his activity to forty more long waiting, refining years.. forty years in the wilderness. Forty more long years – to prepare him for his one important task. The Beloved John, at the end of his earthly toil was banished to his Patmos, before his vision. Paul’s was shut away in prison chains, before he wrote many words of salvation and truth. Each required the solemn reminder:- let him who thinks he stands take heed – lest he fall. 1Cor.10:12 Have we like Moses tried by self-effort, personal influence and even violent means, to bring about deliverance for His people? Does God need to do in our lives what he did with Moses, John and Paul? Does He need to root out those last weeds of pride, that spring back so readily? Your life may be strewn with deep disappointments; great sorrow; unspeakable loss.. You may have been flung into a hard and troubled place.. You may have been submerged in a pool of miry clay for many a long year. You may be confined to a Horeb’s wilderness. You may be bound in prison chains or have a Patmos banishment.. in order to allow patience to have her perfect work in your life – that ye may be perfect and entire, wanting nothing. Don’t kick against the pricks of your hard place and great troubles. Embrace your difficulties and fears and commit all to Him. Praise Him that He makes all things work together for good.. even your Patmos banishment. There are yet helps and revelations and even future blessings of God that can not be received until the the last vestiges of pride or arrogance be rooted out.. continuously rooted out – little by little.. day by day are weeded out.. precept upon precept – line upon line.